Edgar Hill, unsympathetic husband and half-hearted father, finds himself in a hopeless situation. Despite all his best efforts, he hasn’t managed to keep his family together. In fact, they are further from him than ever – 550 miles to be precise. This was a lot heavier than the dystopian stories I’m used to reading. 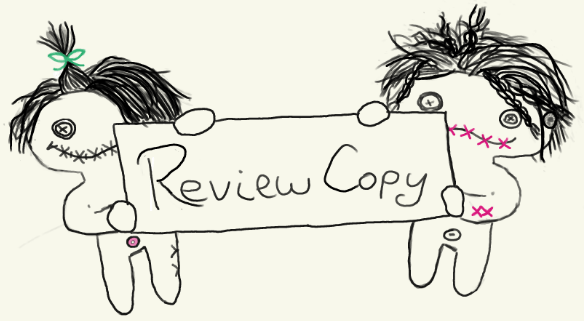 The writing is a lot more expressive, descriptions more elaborate and experiences more dramatic and I can’t deny that it was wonderful to read but I also can’t ignore that at times, I felt like Edgar, that it would never end, like I was never going to make it to the end. 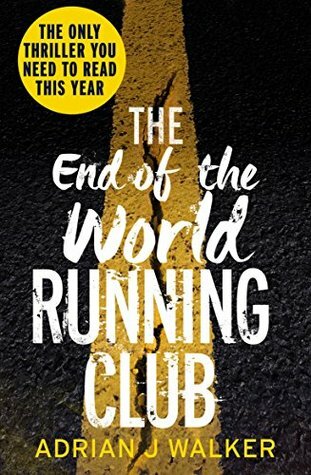 The End of the World Running Club follows Edgar, an average man, who has stumbled through life feeling sorry for himself whilst ignoring the needs of those around him. But all of this is about to change. One morning, Earth is awakened to a terrible asteroid attack. One that leaves most of the Northern Hemisphere decimated. Those who survive must try to find food, water and shelter. Some band together into little societies whilst others fend for themselves. Edgar and his family find themselves in a little community set up by what remains of the Scottish Military. Supplies are at a low and Edgar volunteers with a few others to go on a scavenging expedition. Unfortunately it is at this moment that rescue helicopters come and evacuate the base, taking Edgar’s family and leaving Edgar and the team behind. Now they must travel over 500 miles across unknown terrain if they every hope to see their families again. I was surprised by how much I enjoyed reading this because it really isn’t like anything I’ve read before. There were huge chunks dedicated to describing the devastation that the running club encounters, you could imagine every detail of this broken world, and it was heart-breaking. Other chunks were dedicated to Edgar’s inner thoughts and most of this was thinking about his experience of running. Like Edgar I also hate running, I’ve never been very good at it, and when he started explaining how he felt heavy, or the voices he heard saying ‘You can’t do this’, I couldn’t help but be drawn into Edgar’s story as it was so similar to my own experiences of running. I loved the strange mix of characters that made up the Running Club especially Edgar, Harvey and Bryce. I would have liked to see a bit more of Grimes and Richard but I understand that this way, it felt more realistic, like Edgar had grown closer to Harvey and Bryce. On their travels across the UK, they encountered a number of other survivors, some friendlier than others. For me, I found some of the situations a little predictable, like the farming family they encountered in the middle of no where or the teens they encountered in Manchester. Thinking about it now, I suspect its because it played on stereotypes. Despite the stereotypes though I liked that each situation gave me a mix of excitement and trepidation and helped break up the monotony of the running. I also loved that they had a deadline, it’s much easier to get frustrated and anxious when each situation slows them down, knowing that that could be the reason they miss the boats that will separate them from their families. The ending was amazing! Unlike the rest of the story, it wasn’t what I expected at all! It was a perfect mix of fear, heartbreak and excitement, will they, won’t they make it! Well I’m not going to tell you, you’ll just have to read it and find out. I’d recommend this to lovers of Emily St. Mandel’s Station Eleven.